Hayden Peak, western Uinta Mountains. Photo by Douglas A. Sprinkel, Utah Geological Survey. Many geographic features in Utah are named in honor of explorers, trappers, ranchers, and pioneers who were important to the state’s history. 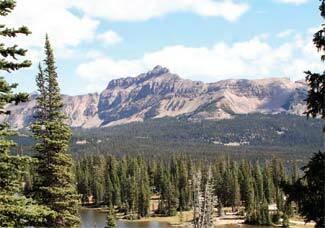 However, there is one mountain range that commemorates early 19th century geologists and topographers who were influential figures in the geoscience field: the Uinta Mountains. More than 20 major geographic features in this mountain range (lakes, streams, and mountain summits and passes) bear the names of these important geoscientists. Many of these early geoscientists developed the basic framework of the current understanding of geologic concepts we now study and practice. Some of these geoscientists were also responsible for organizing and/or participating in the first scientific surveys for the United States government, exploring regions of Utah and throughout the American West. Known as the four “Great Surveys,” the main objectives were to investigate, map, and study the natural resources and geology of the American West. The first was the Geological Survey of the 40th Parallel led by Clarence King from 1867 to 1878. The survey was successful in mapping the topography and geology in the Sierra Nevada, Great Basin, Uinta Mountains, and Rocky Mountains along the latitude of 40 degrees north. All these government surveys were important in providing geologic information that helped “open up” the American West to frontier settlement and led to preserving geological areas, such as Yellowstone National Park, for future generations. Three of the four “Great Surveys” (King’s, Hayden’s, and Powell’s) investigated the Uinta Mountains region, and these geoscientists were responsible for naming the newly discovered geographic features in the Uinta Mountains. 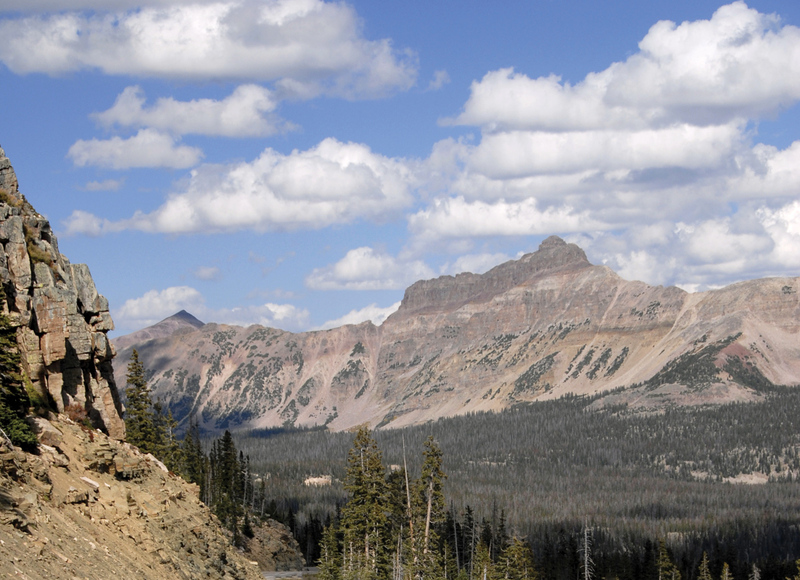 The following table lists the Uinta Mountains’ geographic features named for geoscientists. Geologist who studied glaciation in Uinta Mountains. Geologist who did pioneering research on Lake Bonneville, Great Salt Lake, and the Henry Mountains. Geologist for early government surveys. Visited Uinta Mountains in 1870. Conducted Geological Survey of the 40th Parallel. First director of the U.S. Geological Survey. Geologist and educator who worked with John Muir. Paleontologist who studied the Bridger and Uinta Formations. Considered father of vertebrate paleontology. Paleontologist who studied the Bridger Formation. Professor of Zoology and Geology at Harvard University. Geologist for the Geological Survey of the 40th Parallel. Mount Powell and Powell Lake John Wesley Powell Led surveys down the Colorado and Green Rivers. Second director of the U.S. Geological Survey. Professor of Biology and Geology at Bowdoin College. Paleontologist who is considered the father of insect paleontology. Professor of Paleontology and Geology at Harvard University. Geologist and paleontologist who studied the Burgess Shale. Third director of the U.S. Geological Survey. Head topographer for the Geological Survey of the 40th Parallel.